Ahhhh don't you just love products with super long names!! 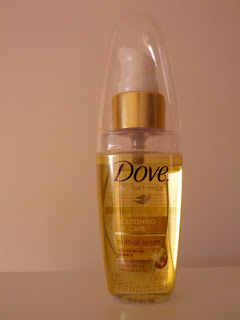 This one will be referred to as the "Dove Oil" since I can't be bothered writing out its full name. While it's big on letters in its title, it's also big on promises. I first heard about this on the advert. It tells us that it's triallers thought it's "as good as Moroccan Oil!" That's a HUGE statement. Firstly because Moroccan Oil has a cult following, and secondly because it is a quarter of the price. But I can tell you after using it for a few weeks now, that it's pretty amazing. While I think Moroccan Oil is over hyped, I do love Argan and Macadamia Oils and think the Dove Oil is up there in my top 5 favourite oils. Firstly, who can go past the price. It's so incredibly affordable. 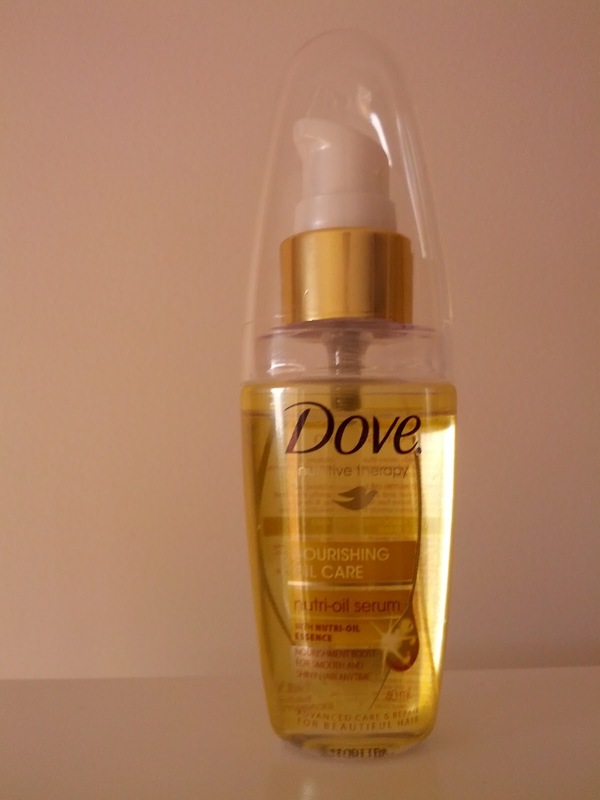 For $10 (in Australia) you get 40mls, which might look small, but lasts a LONG time since you only need a few drops. It's in a plastic bottle, but doesn't look cheap. I love the look of glass bottles, but they are safety hazard around a clutz like me, so the plastic is perfect. It has a pump so it's easily distributed in your hands. This oil contains coconut and almond oil to add moisture and softness to the hair. Unless you are using it by the truckload, it won't make your hair oily/greasy/yukky. These hair oils are amazing because they are a multi use product. You can use them as a styling product, to tame flyaways, give your hair shine and nourish it. Are you a fan of this oil?